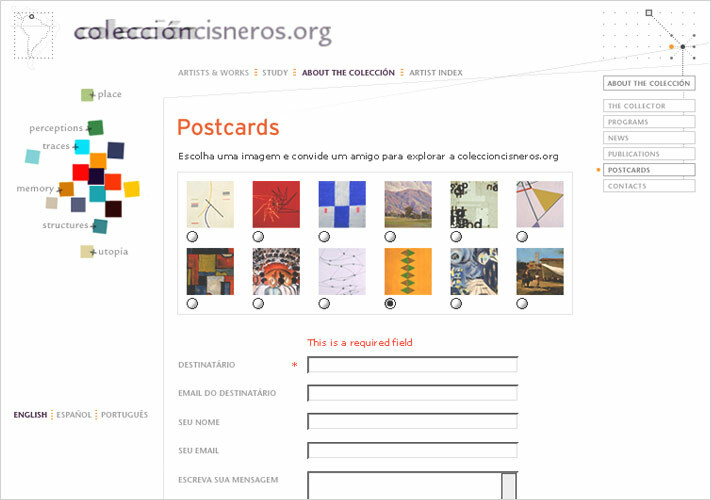 The Venezuela-based Fundación Cisneros commissioned us to develop the front end, backend and editorial content for a trilingual website on the Colección Cisneros, a distinguished collection of modern and contemporary art from Latin America. The site needed to be educational in intent and focus, dynamic, visually engaging, and built with an eye toward maintenance and growth. The content needed to be accessible to a broad international demographic, ranging from specialists to the public at large. The site architecture departs from the conventional “online exhibition” model by encouraging visitors to explore key concepts, artists, and artworks through multiple points of entry. Each section reveals distinct layers of information; taken as a whole, the discrete sections build a complex narrative about art from Latin America that belies its reputation as provincial and figurative. In an effort to make the subject matter both relevant and entertaining, we developed content-rich interactive features throughout the site. 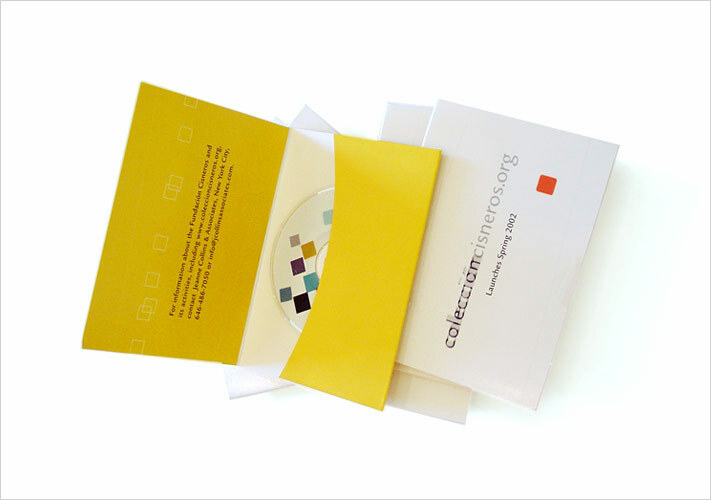 For example, in the thematic section, organized around concepts central to the Colección, we use images, text, animations, and educational “games” to engage the visitor in a highly personal and experiential way. In the section devoted to artists and works, a nonlinear interactive timeline on world history provides a thought-provoking context for the works, artists, and artistic movements featured on the site. In the study section, an interactive map of key cities charts the flow of ideas between the Americas and Europe. 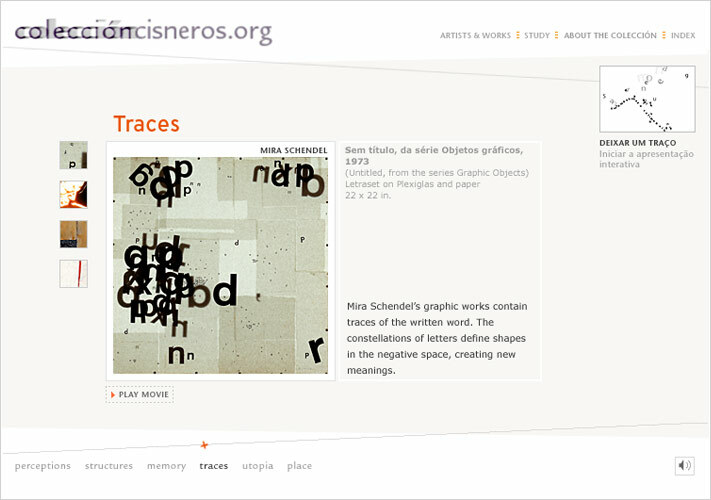 To achieve the site’s explicit educational goals, we incorporated a study guide for young visitors, a glossary, and a selection of artists’ writings, some offered in translation for the first time online. 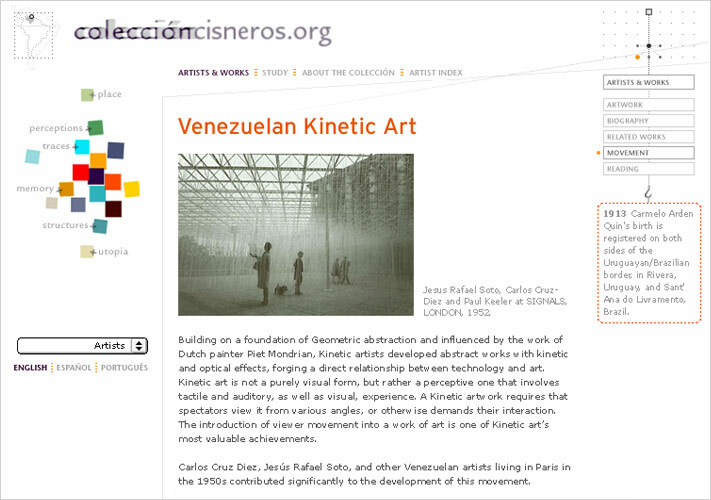 The site was produced in three languages (English/ Spanish/ Portuguese), and two bandwidth iterations (Flash and HTML). 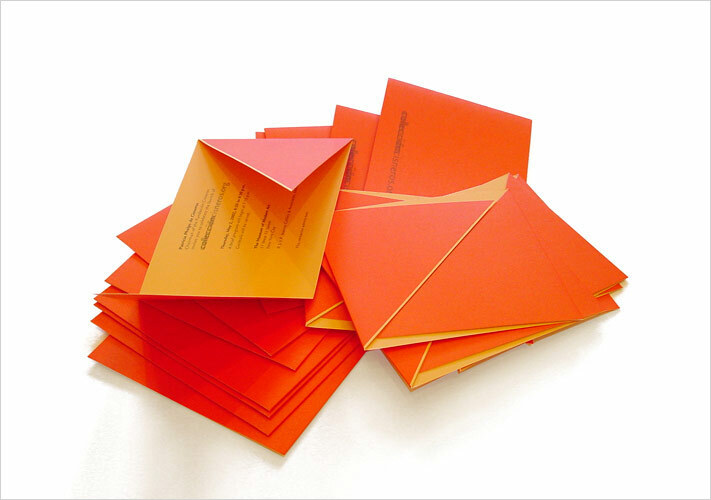 To facilitate client maintenance after launch, we developed a comprehensive content management tool.